Only one of the Iowa General Assembly’s top six leaders will be new to the job when the 2019 legislative session starts next week. 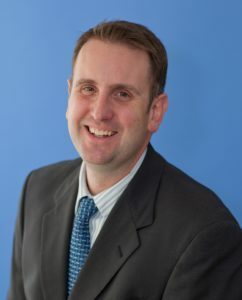 In mid-November, Representative Todd Prichard of Charles City was elected House Minority Leader by his fellow Democrats. Prichard, a 44-year-old attorney, joined the Army in 1993 and is currently a lieutenant colonel in the U.S. Army Reserves. Prichard grew up in Davenport. His parents ran a cleaning service. After graduating from Davenport West High School in 1993, Prichard enrolled in the Reserve Officers Training Corps at the University of Iowa. He graduated with a political science degree, served three years in the U.S. Army and did a tour of duty in Kuwait. Prichard then came back to Iowa, enrolled in law school and joined the Iowa National Guard. Prichard met his wife while he was in the University of Iowa Law School and the couple settled in Charles City, near his wife’s hometown. Prichard opened up own law office, worked as a local prosecutor and did a nearly two-year tour of duty in Iraq, commanding a company of about 200 Iowa National Guard Soldiers. Prichard briefly ran for governor, but ended his campaign in mid-2017 after a three-week military tour of duty in Bulgaria. Prichard was first elected to the Iowa House in 2013, in a special election. Nearly six years later, he enters the 2019 legislative session as the floor leader for House Democrats. The 2019 Iowa legislative session begins Monday, January 14.